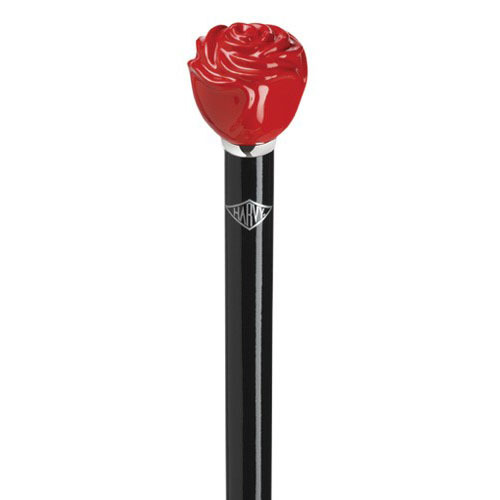 Nite Sticks walking cane with red rose blossom knob 1 3/4" handle mounted stylishly on a hardwood shaft with high gloss black finish set off smartly with a silver tone ring. 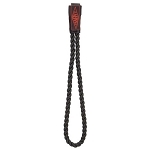 The shaft is 36" long and tapers from 3/4" to 1/2" diameter. Imported from Germany. Can support up to 250 lbs. 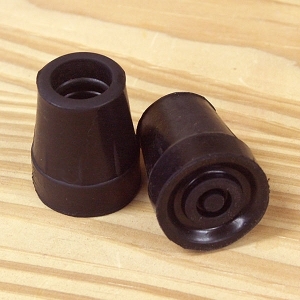 Replacement tip size 5/8".